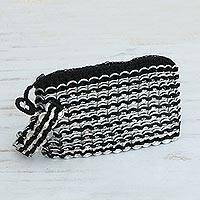 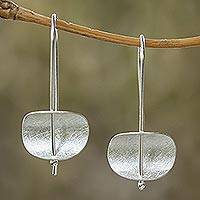 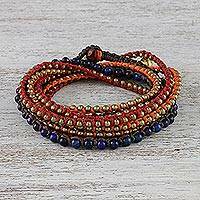 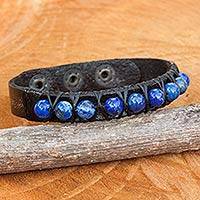 This little bracelet is well made and durable and looks like it will last a long time. 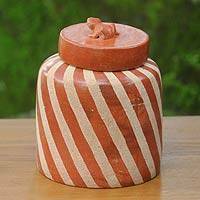 I like it a lot and appreciate the craftsmanship of Mr. Takham. 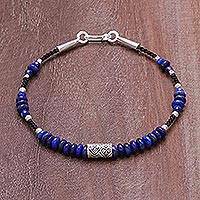 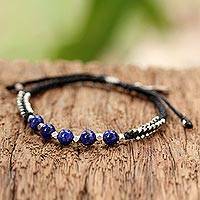 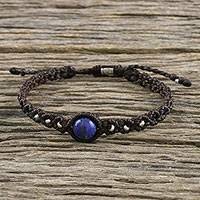 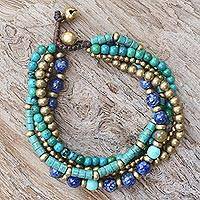 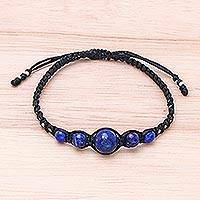 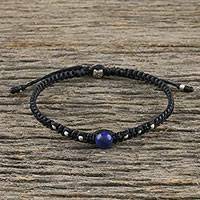 Artisan Crafted Lapis Lazuli and Leather Band Bracelet, "Rock Walk in Blue"
Lapis Lazuli Pendant Bracelet on Brown Cord from Thailand, "Watery Orb"
Heart Motif Lapis Lazuli Beaded Bracelet from Thailand, "Lover of Night"